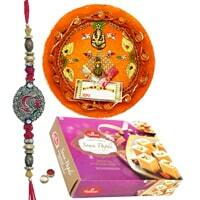 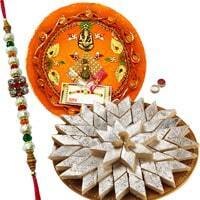 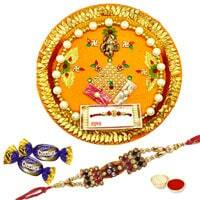 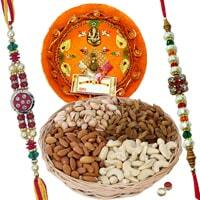 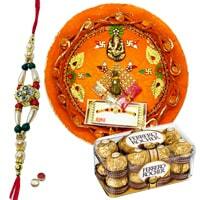 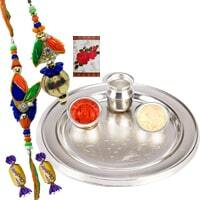 On Raksha Bandhan this Charismatic Rakhi Celebration Gift Set of Designer Silver Plated Rakhi Thali and Dry Fruits Platter of 100 gr. 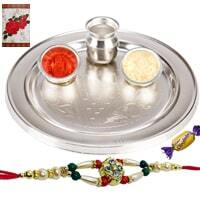 along with 2 Rakhi, Roli and Tikka will signify the amount of love your heart holds for the recipient. 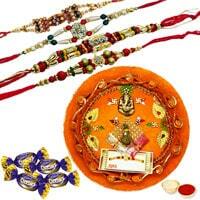 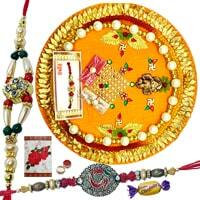 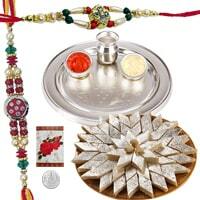 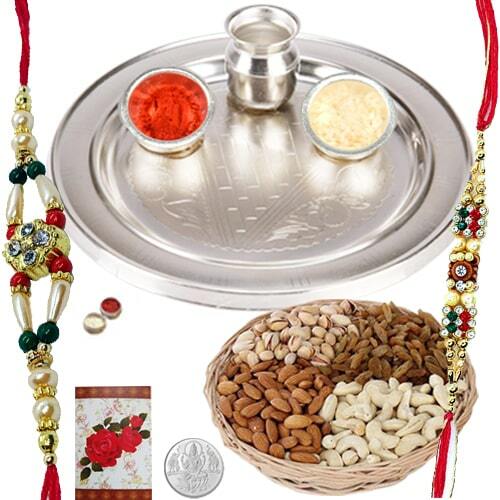 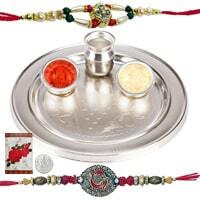 This Rakhi Thali Set includes Silver Plated Rakhi Thali (Size: 5 inches), 2 Bowls and a Tumbler and also include a Free 5 gram Silver Plated Coin and a handmade paper Rakhi Card. 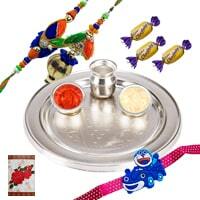 Note: Free Delivery in USA.